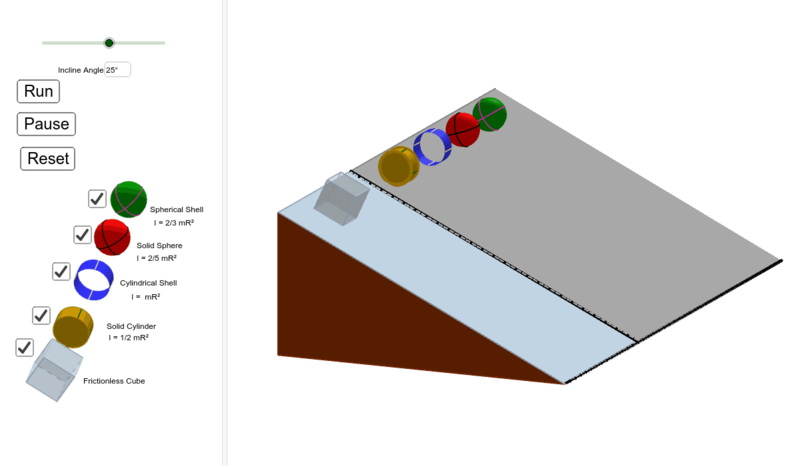 This is a simulation of five objects on an inclined plane. The cube slides without friction, the other objects roll without slipping. The different mass distributions cause the rolling objects to have different rotational inertia, so they roll down the incline with different accelerations.